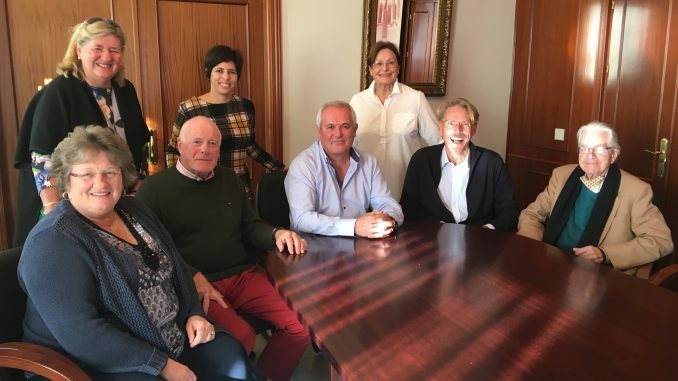 On Wednesday 22 November 2017, the Executive Committee of the new branch of Age Concern Marbella and San Pedro Age, along with President Tom Burns made an official visit to San Pedro Town Hall to be introduced to the Mayor of San Pedro, Don Rafael Piña, The Age Concern committee were warmly received by the Mayor and Councillor Belen. The meeting provided an excellent forum to lay out and discuss the Age Concern plans and developments for 2018. 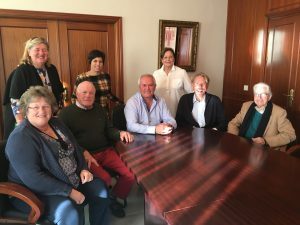 The Committee discussed at length the requirements of Age Concern in terms of a location suitable for holding training sessions and occasional lectures, both the Mayor & Councillor were very enthusiastic and helpful. The new Age Concern branch are planning to be in full swing by the New Year. This includes the launch of a Recruitment programme for volunteers. Current Volunteers visit two local Residential Seniors Homes as well carrying out domiciliary visits. There are also many exciting new projects being developed for launching in the New Year and a real need to recruit new volunteers to our branch. 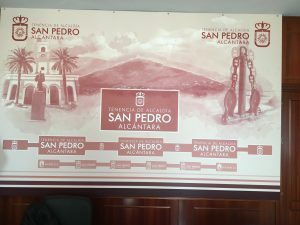 We would love you all to come along on the first Thursday of each month for coffee mornings at the Club de Padel & Tennis, Nueva Alcantara, in San Pedro Alcantara. (tel: 952 78 83 15) An ideal opportunity for clients, members and volunteers to discuss any problems or simply enjoy a social event. Please don’t feel alone come and chat with or we will visit you. We continue to use our motto “That no one should feel alone”.